Palm announced its latest smartphone offering today in an attempt to combat Apple's iPhone. The new Treo 500v will be available in an exclusive deal through Vodafone, which plans to make it available in October. With a Euro iPhone still not on the market, the Palm Treo 500v puts in a good pitch for your attention. It features high-speed 3G/UMTS mobile internet access and is powered by Microsoft's Windows Mobile 6 platform. The Treo 500v features a full Qwerty keyboard rather than the AppleiPhone's much-talked about touch-screen. Add to this a large colour LCD, video streaming capabilities and various messaging functions (including IM, SMS and email), and you've got an extremely versatile smartphone. "The Treo 500v is priced to enable a broader audience to experience the internet and email on the go," said John Hartnett, senior vice president of the global markets and Windows business unit at Palm. "Today's generation has really embraced the internet as a way of keeping in touch with friends and family, seeking out entertainment and managing their day to day lives. We can offer users the choice to do what they want, how they want, when they want." 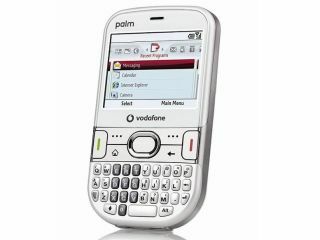 The Palm Treo 500v goes on sale in October and will be available in two colours - glacier white and charcoal grey. Palm said it will be offered free with some Vodafone contracts, plus a £7.50 per month data tariff. Tech.co.uk will be at the official launch of the Treo 500v later today. We'll be testing it out and writing up our first impressions later.